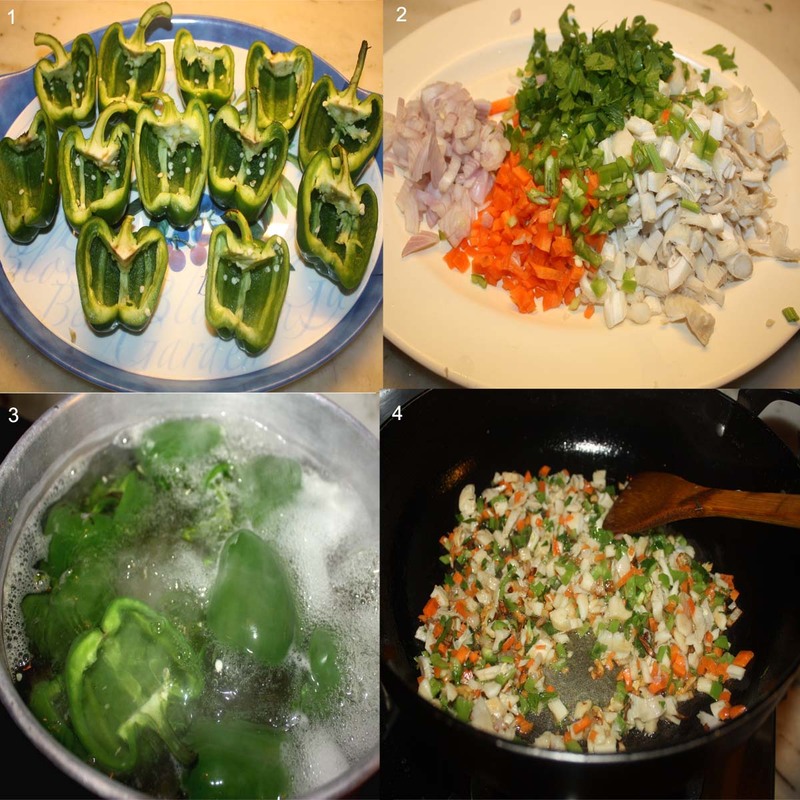 Cut the peppers in half length ways and scoop out the seeds and membrane. Bring a large pot of water to boil over high heat. Add 2-3 tbsp of salt to the boiling water and then add the peppers and boil on high heat for about 3-5 mins till the flesh is slightly softened. Take it out and put it in cold water for about a minute. Drain and set it aside. Meanwhile heat oil in a pan and add the chopped onions and garlic and saute for about a minute. Add the chopped carrots, mushroom, pepper and celery and fry for 1-2 minutes till they become tender. Then add the mince meat and cook till the meat becomes brown. Now, add the chopped tomatoes, salt, pepper, chilli flakes, soya sauce, tomato sauce and dried oregano. Mix well. Next add the cooked rice and mix well into the mince meat and fry for about a minute. 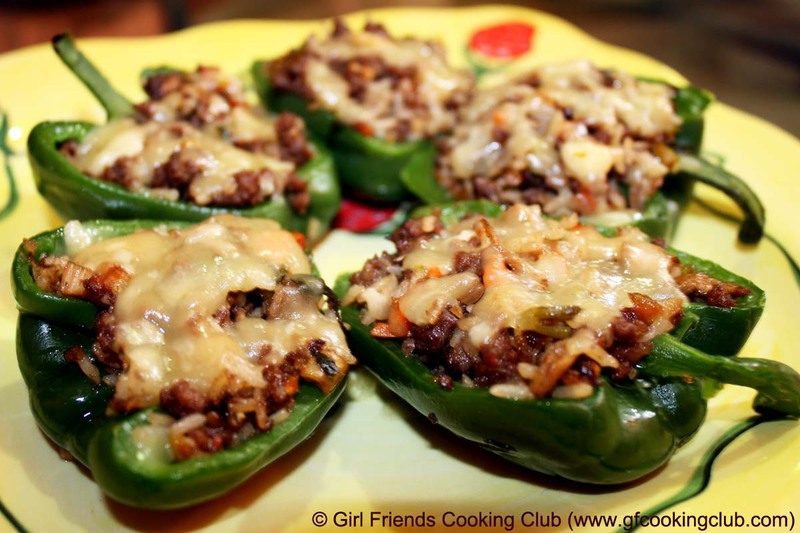 Rub a little oil on the outside of the peppers ( it will help with browning) and stuff the rice and mince meat filling into the bell peppers and sprinkle cheese on top. 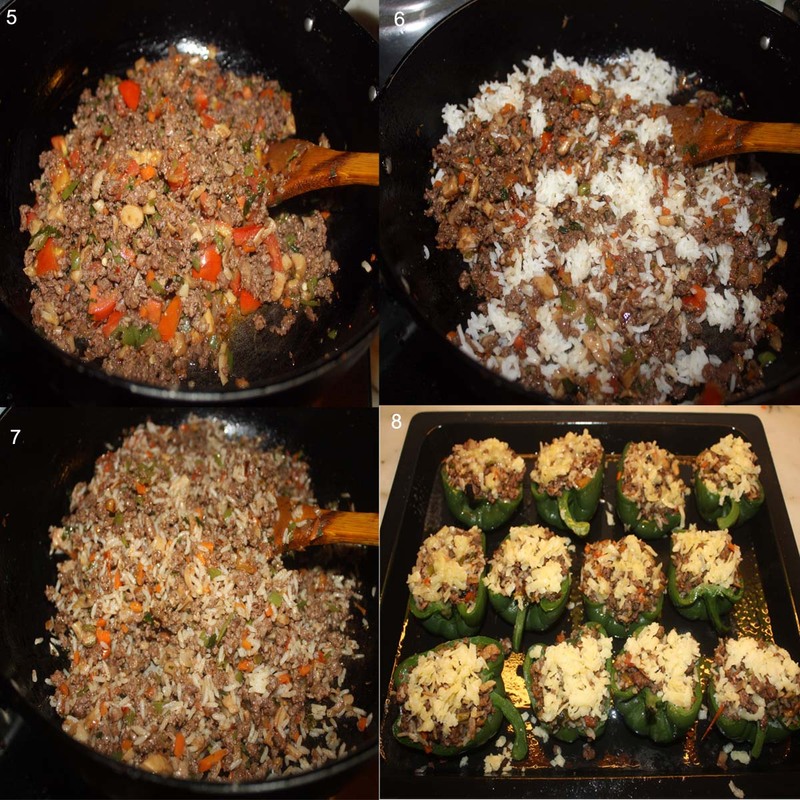 Lightly grease a baking tray and place all the stuffed peppers .Bake the peppers for 10 mins till the cheese melts. 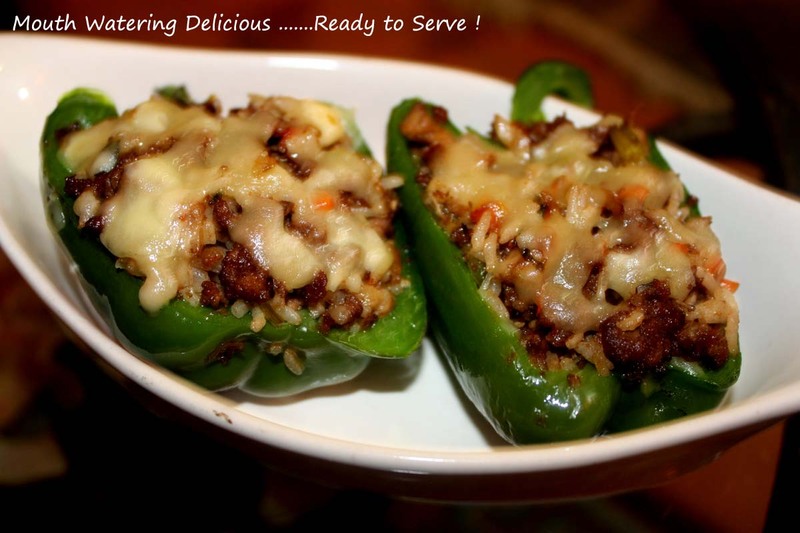 This entry was posted in All Recipes, Chicken, Pork and tagged Stuffed Bell Peppers by Kamakshi. Bookmark the permalink.